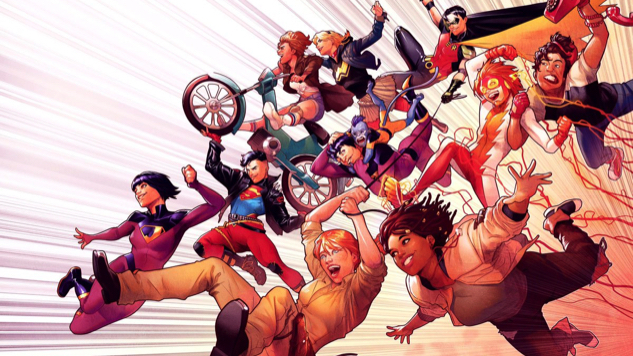 In a big announcement out of New York Comic Con, Brian Michael Bendis will cement his place at DC Comics with a new imprint he’s calling Wonder Comics. The line will be curated by Bendis himself, featuring in-continuity storylines and aimed primarily at a teen audience. As the flagship title, Young Justice is making its return, starring Bart Allen as Impulse, Conner Kent as Superboy and Tim Drake as Robin. Bendis will write the book, with art from his Action Comics partner Patrick Gleason. During a panel on Saturday afternoon, some of the imprint’s other titles and creative teams were announced, as well. Naomi will be co-written by Bendis and Cyborg writer David Walker, with art by Jamal Campbell (Justice League of America: Vixen). Wonder Twins will be written by Snagglepuss and Flintstones scribe Mark Russell, and drawn by Justice League/Power Rangers veteran Stephen Byrne. Russell will also be working on Vertigo’s yet-to-be-released Second Coming. Dial H for Hero teams up writer Sam Humphries, of Harley Quinn and Green Lanterns, with artist Joe Quinones, who’s worked on Black Canary and Zatanna: Bloodspell—the book itself is described as “an updated take on the Silver Age classic series,” per DC. These titles are part of the first wave of Wonder Comics, with more on the way. With this announcement, and DC’s recent additions of Young Animal, DC Ink and DC Zoom, and the Black Label imprints, readers of every age will soon have their own dedicated line of comics. Look for Bendis’ latest DC contribution to hit shelves early next year. 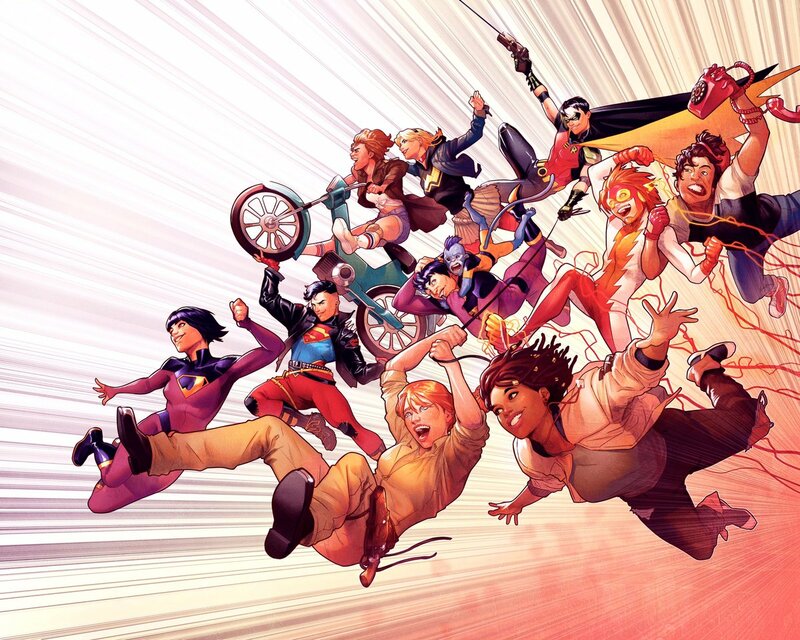 In the meantime, see the Young Justice teaser art and Wonder Comics logo below.